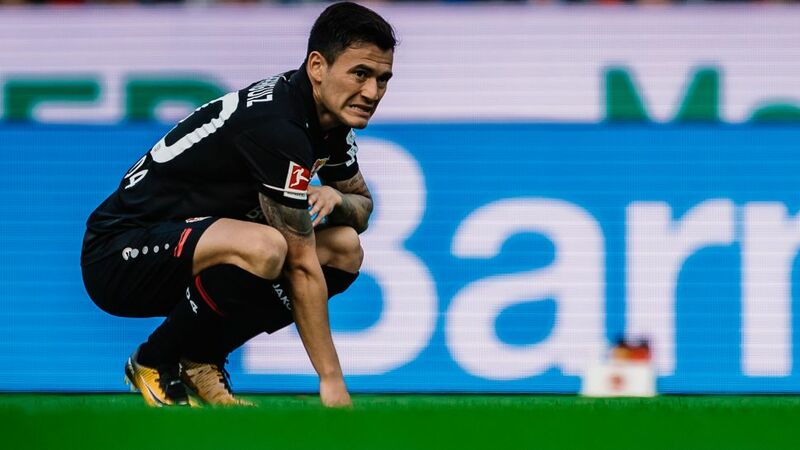 Bayer Leverkusen midfielder Charles Aranguiz is set for a spell on the sidelines after suffering a calf injury in Saturday's 1-1 draw against Borussia Dortmund. "Charles Aranguiz suffered an injury to his left calf in the game against Borussia Dortmund," read a statement on the club's website on Sunday, before adding that it is still too early to assess how long the 28-year-old will be out of action. The Rhinelanders will be hoping the injury is not as severe as first feared, and have also said that Aranguiz could still return to action before the end of the Hinrunde. Leverkusen, who are now nine league games unbeaten after their point against Dortmund, round off 2017 away at Borussia Mönchenglandbach in the third round of the DFB Cup on 20 December. Click here for more Leverkusen news and features!